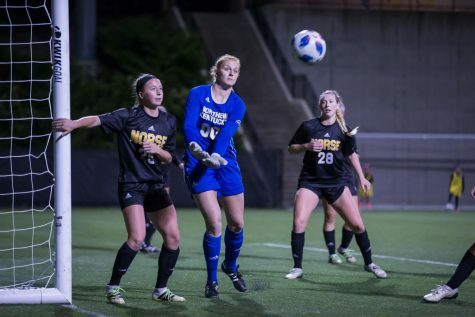 Ronald Moss led the Norse with three shots Tuesday in a 4-0 loss to Evansville. EVANSVILLE, Ind. 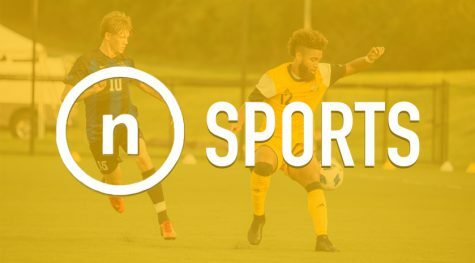 – The NKU men’s soccer team dropped its final non-conference match of the season Tuesday, 4-0 at Evansville. The Purple Aces started the scoring in the 8th minute when Nate Opperman scored after he stole a back pass. 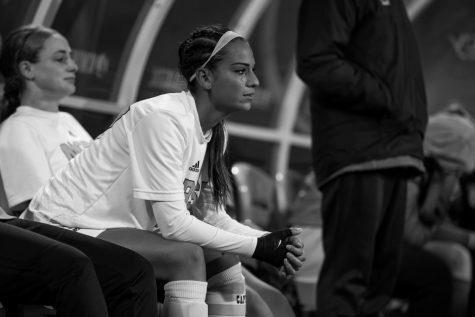 It was 1-0 at halftime. Evansville (3-13-0) scored three times in the second half. The first was in the 50th minute when Desmond Dolplhy scored. He would score again in the 70th minute to make it 3-0 Aces. Mark Gonzalez ended the scoring in the 73rd minute with his seventh goal of the season. NKU (8-5-4) was outshot 14-7, including 6-2 in shots on goal. Toby Frohlich got the start and played the first 71 minutes. 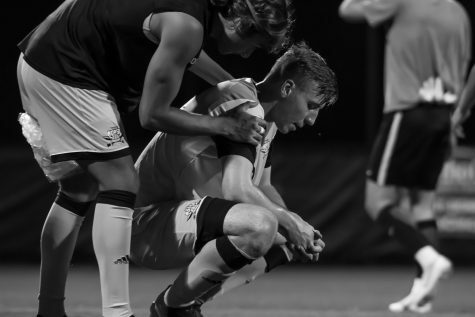 Christian Carey came on in the 71st minute and played the remaining 19. Ronald Moss led the Norse with three shots. Moss and Jacob Cunningham each had shots on goal for the Norse. 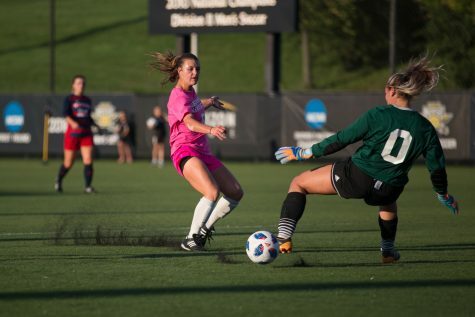 NKU returns to Horizon League play Friday with a first-round bye in the league tournament on the line. The Norse travel to Milwaukee for a 7 p.m. kickoff. If NKU finishes in the top two in the standings, they will get a first-round bye in the Horizon League tournament next week. 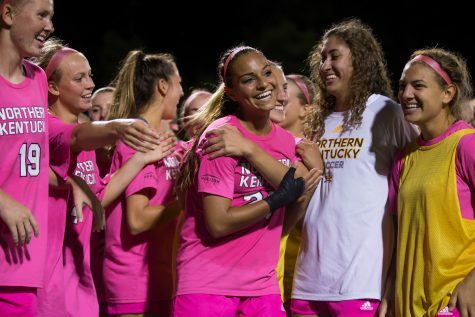 If they finish third or fourth, they will host a first round game at NKU Soccer Stadium.